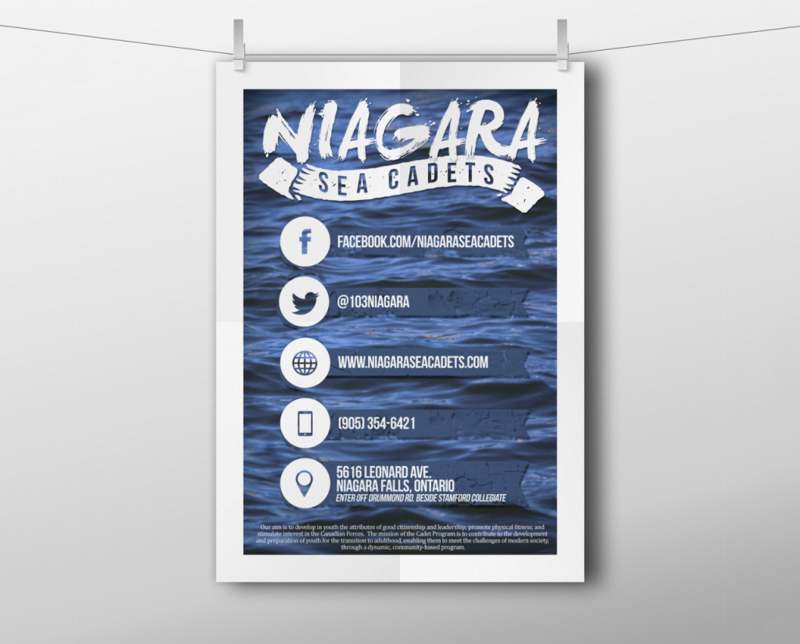 The aim of the Niagara Sea Cadets is to develop in youth the attributes of good citizenship and leadership; promote physical fitness; and stimulate interest in the Canadian Forces. Sea Cadets participate in ceremonial events and citizenship activities that allow them to connect to their Canadian naval heritage and specialize in sailing, seamanship, shipboard life, naval communications, power boat handling, boat repair, and marine engineering. 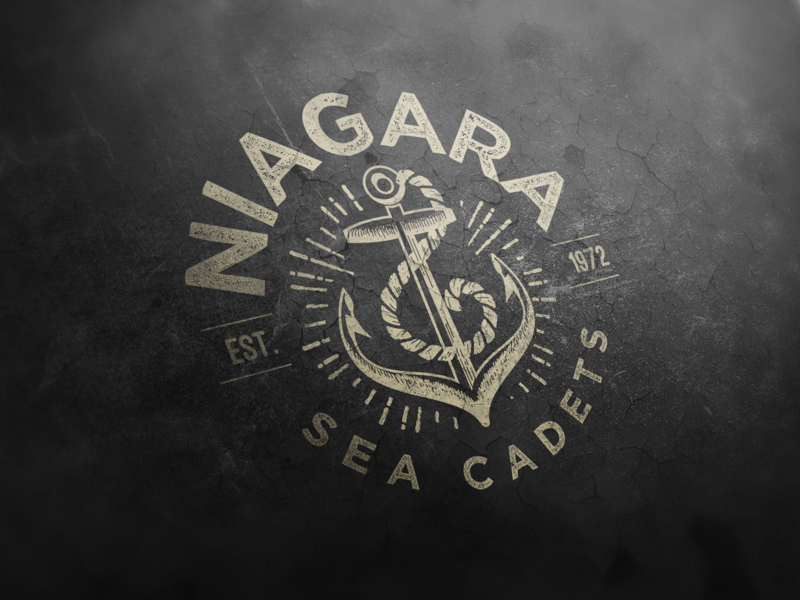 Being asked to re-create the identity of an entire sea cadet corps is quite the honour. 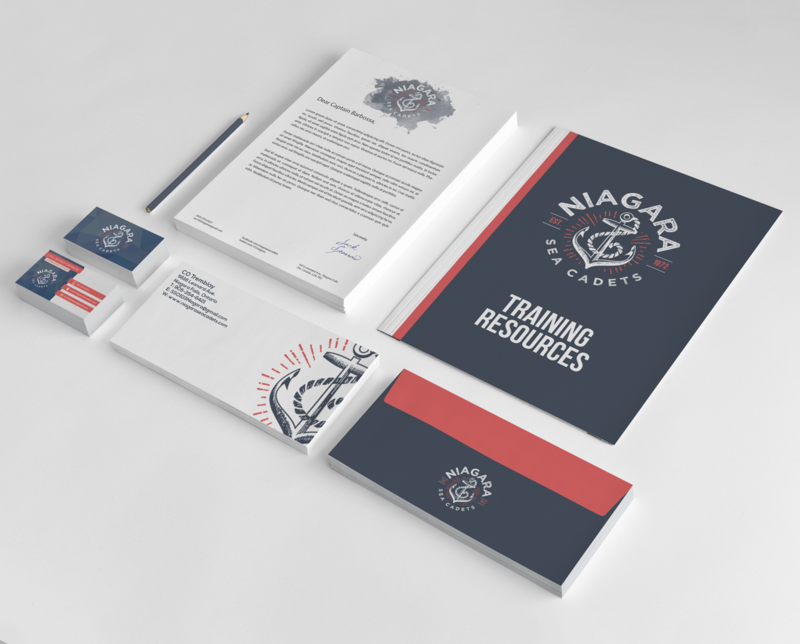 In order to develop an image for the corps that past members could identify with, as well as creating a fresh brand that would draw in new recruits, we had to be meticulous with research and planning. A colour scheme was first chosen to include colours that reflect the naval aspect and the Canadian aspect. An accent of seafoam green was added in to round out the website. It is by far our favourite colour scheme to date. To encompass the history of the corps, a vintage logo style was adopted. 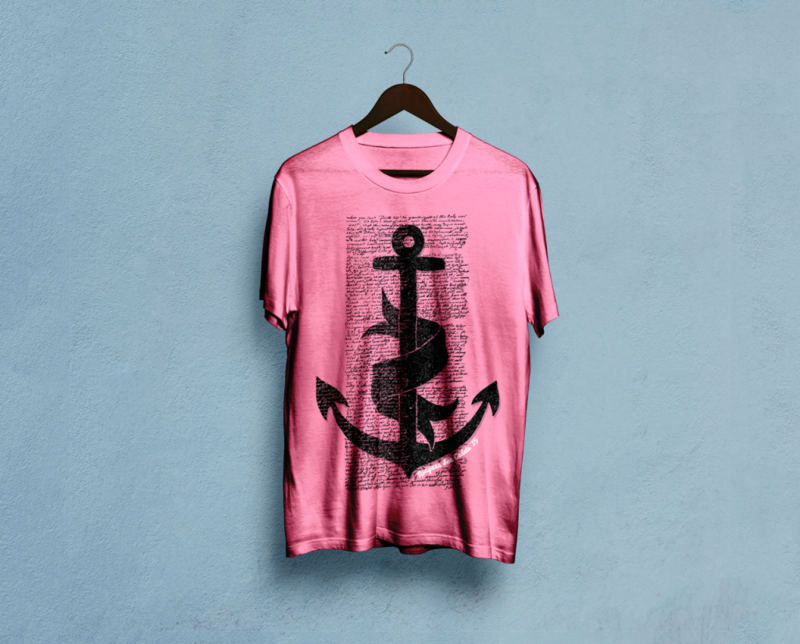 Pairing with this idea, the navy blues and reds took on a muted tone. The rope attached to the anchor became the final piece to the puzzle: the representation of Niagara. 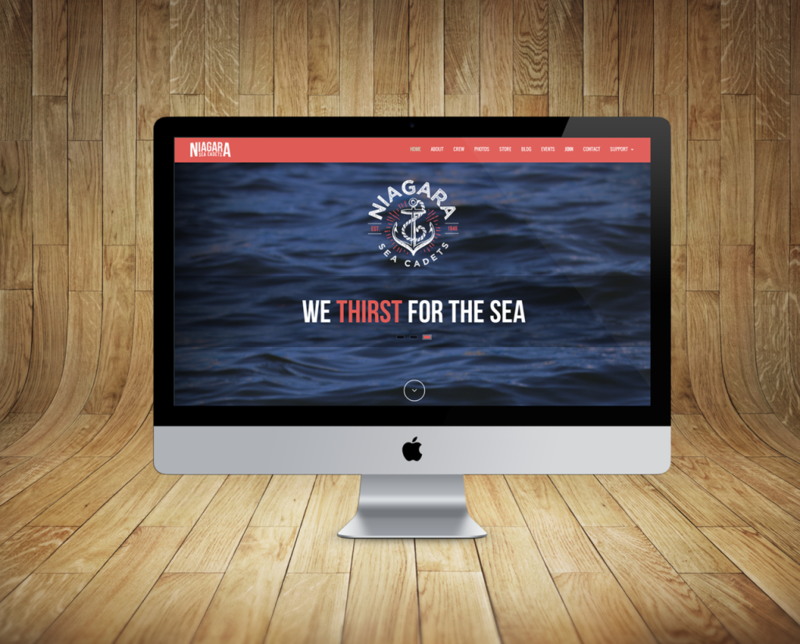 Illustrated in a curving, wave-like motion, the rope is a symbol of the roaring waters of Niagara Falls. 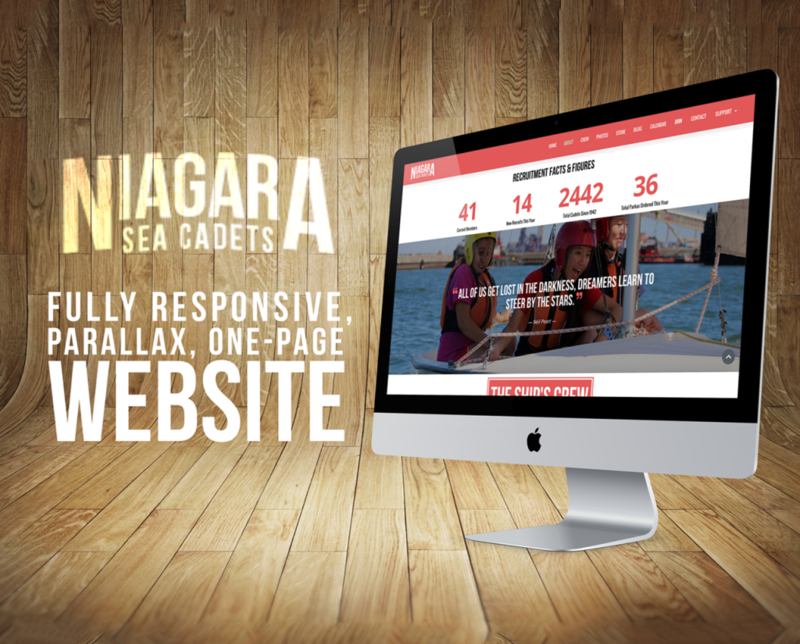 Building the Niagara Sea Cadets website can only best be equated to nurturing and raising a newborn child. 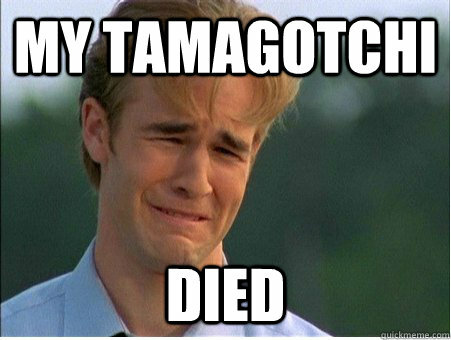 Either that or parenting a Tamagotchi. 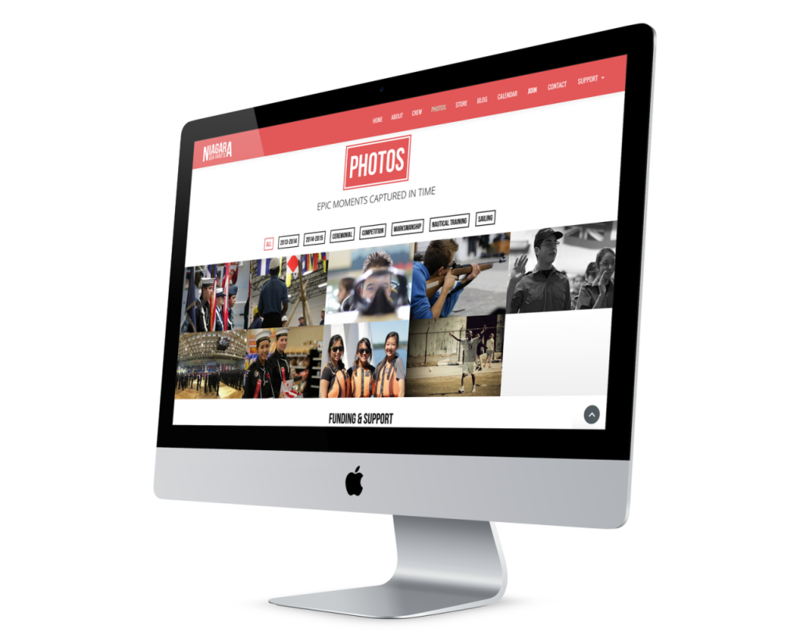 Working closely with the Public Affairs and Communications Officer, we began creating the skeleton of the site. 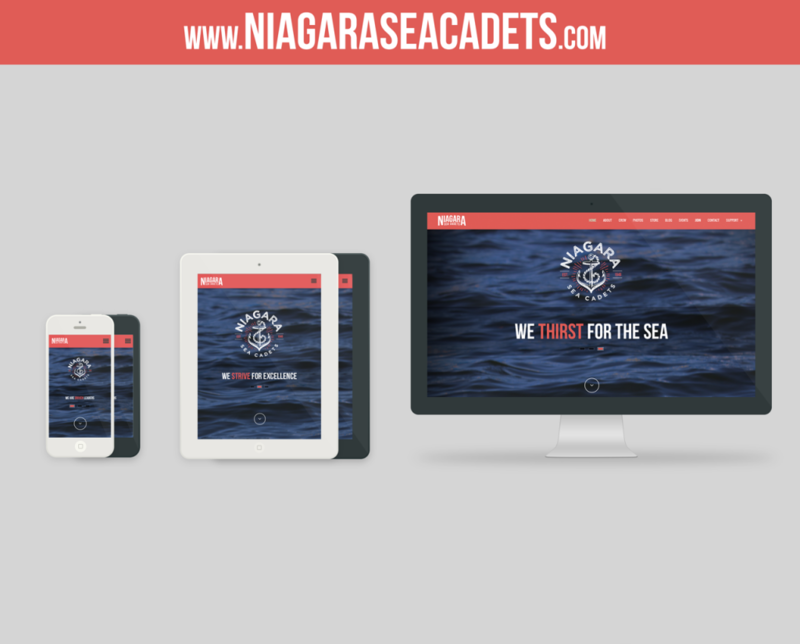 As kids and tamagotchis alike amaze us with the things they say and do, the Niagara Sea Cadets site began to inspire fantastic ideas, including an online store to help fund the cadet program and a featured cadet section to motivate each cadet to be showcased. 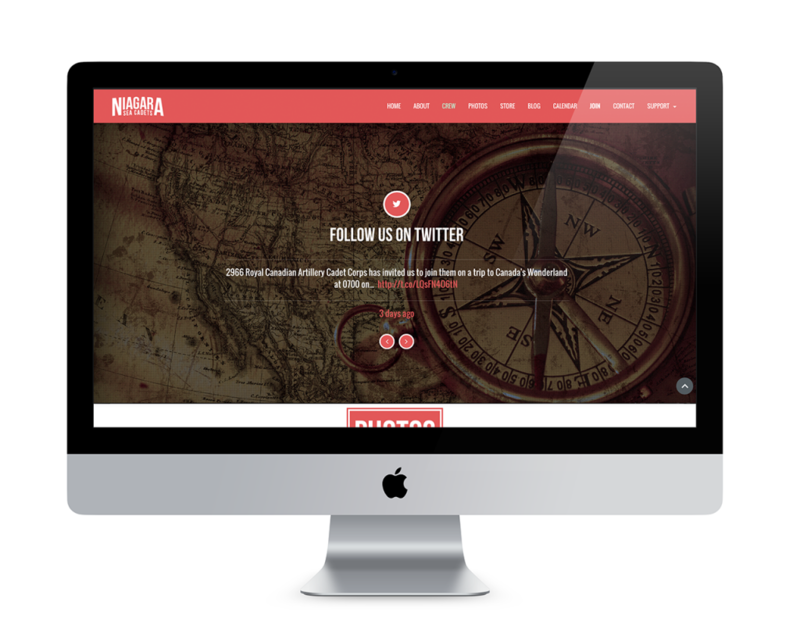 A one-page website design was chosen to encourage a viewing of the entire site. Similar to the news feed on Facebook and blog posts on Tumblr, the only action necessary is scrolling down. This encourages the visitor to check out every section of the website as it instills a sense of wonder that can be solved by a simple repetitive motion of scrolling down. If you give a mouse a cookie, he’s going to ask for a glass of milk. If you give a mouse an online store, he’s going to ask for t-shirt designs. Once a store had been created, which you can check out here, merch designs were a must. 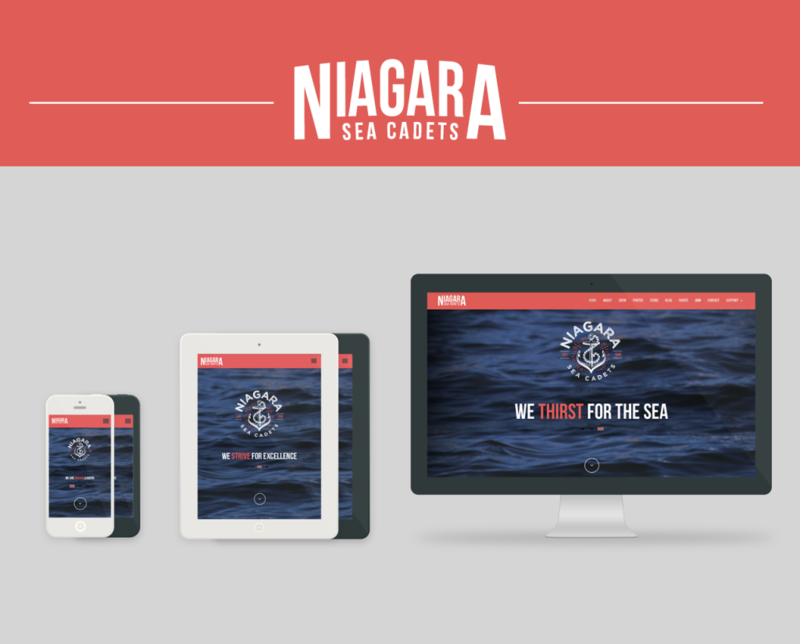 Using Red Bubble, the store and merchandise production is free for Niagara Sea Cadets. The cost is incurred to the customer only. Therefore, investing in designs that could be used on phone cases, t-shirts, hoodies, even pillows, the corps can continue to make a profit at no further cost to them. 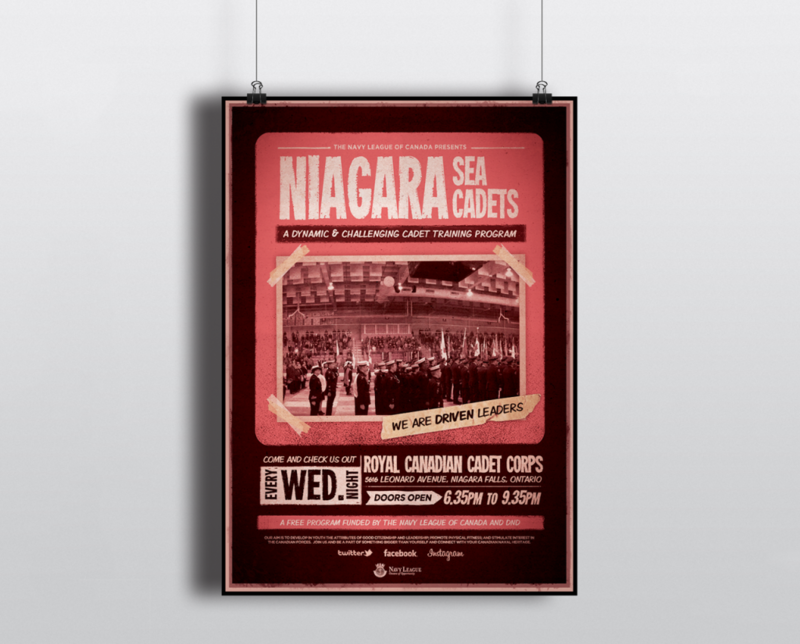 Posters were created a few months after the website launch in order to spread the word and recruit cadets.